With Father's Day right around the corner, we thought we'd put the spotlight on our sweet dads this week. 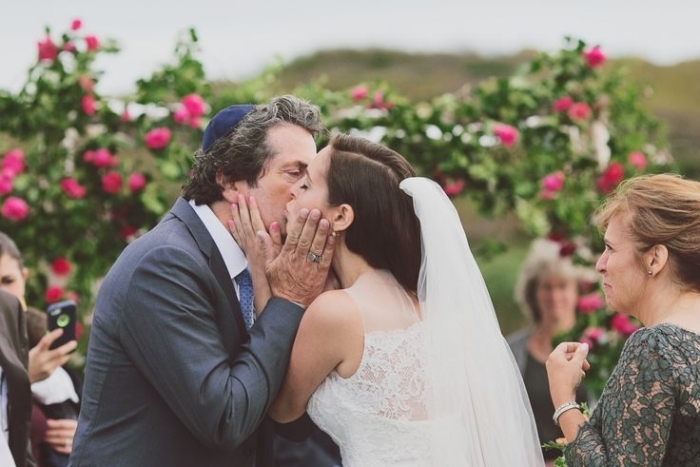 There's nothing that will tug at your heart strings faster than a proud, tearful dad on his daughter's wedding day. I've been tearing up for hours writing this post and putting together a selection of the sweetest father-daughter wedding moments! When I got married, my Dad and I had already been crying for weeks. We're a family of sappy souls! In the months before our wedding, I asked my father to choose a song he would like for our father-daughter dance. When he picked it, I knew I couldn't listen to it until our wedding day or I'd spend the next six weeks in a puddle of sappy tears! Funny enough, by the time we got to the big day, we were all cried out and we were the ones with dry eyes for once! But that father-daughter dance was the only time that I couldn't keep it together. My father chose the song Love and Happiness, by Emmylou Harris and Mark Knopfler and it is possibly the most beautiful song you could ever choose. 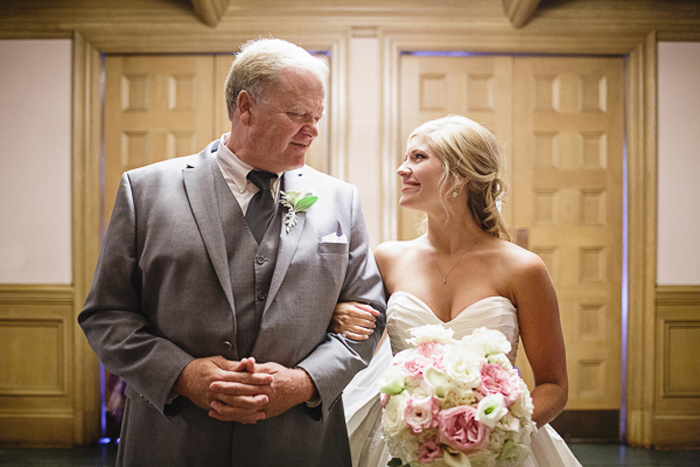 There are a few father-daughter wedding moments you'll likely want to capture with your father on your wedding day, from a first look to your father-daughter dance. But there are a few unexpected moments to watch out for - or ask your photographer to watch out for - throughout the day. Here's a tear-jerker of a list for you! Instead of letting someone else pin his corsage on, take a quiet moment to pin a flower to your father's lapel. There's such anticipation in the car ride to the ceremony, just you and your father. First looks aren't just for grooms! Your dad will likely make a face you'll want to remember when he first sees you in your gown. 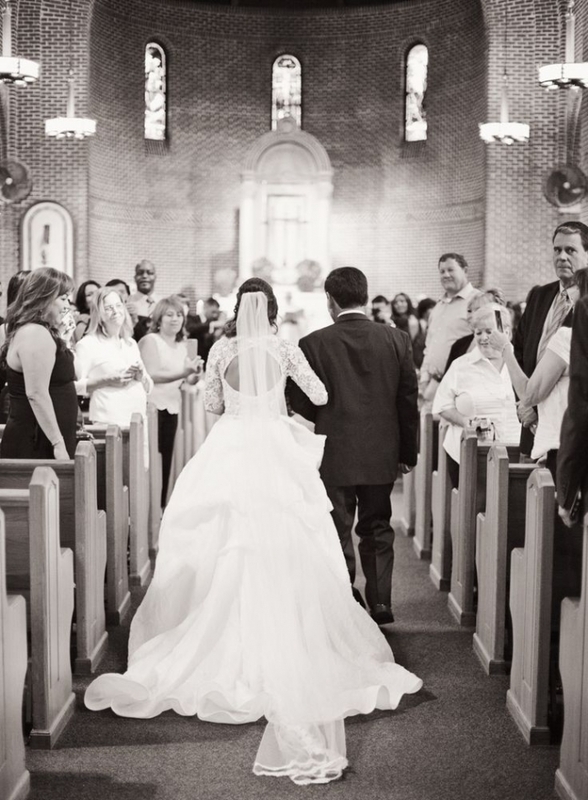 Walking down the aisle with your father is a classic shot you won't want to miss. 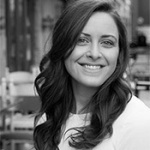 If possible, ask your photographer to capture the moment from behind as well. When you reach the top of the aisle, your dad will give you a kiss or a hug, and that moment is worth a snap as well as he formally gives you away. Whether you choose a serious song or a silly one with a choreographed dance, soak it in. Or if you're like my dad and I, just try to hold it together! And we have a whole bunch of amazing father-daughter dance songs if you're looking for more inspiration. One last tip - don't forget to ask your photographer to try to get a few different angles while you're dancing with your father. It's lovely to see both your dad's face and yours during such special moments.